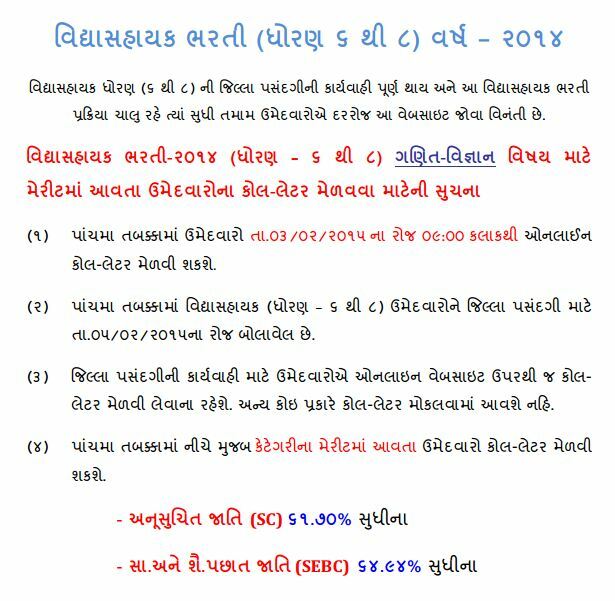 VS Maths Science Bharti Fifth Round Declared By Education Department Government of Gujarat. Candidates are adivesed to download 5th Round Call Letter form 03-05-2015 at 9.00 a.m. Candidates are calling on 05-02-2015 for District Selection. Candidate can download notification and call letter through the official website www.vidyasahayakgujarat.org.